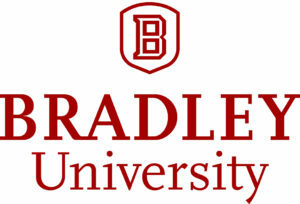 Bradley University appears in our ranking of the Top 10 Master’s in Counseling Degrees Online. Bradley University offers a bachelor’s degree in psychology and a graduate certificate in clinical mental health counseling, and a master’s degree in clinical mental health counseling or school counseling. The clinical mental health counseling master’s degree program can be completed both on-campus and online. The bachelor’s degree in psychology introduces students to the scientific knowledge of human behavior and mental processes. The program requires the completion of at least 117 credit hours. The core psychology courses include Principles of Psychology, Brain and Behavior, Quantitative Methods, Research Methods, and a Psychology Capstone course. The graduate certificate in clinical mental health counseling requires the completion of 12 credit hours. The core courses include Loss and Grief Counseling, Counseling: Ethics and the Law, Diagnosis and Treatment of Mental Disorders, Crisis Intervention Counseling, Psychopharmacology in Counseling, and Clinical Supervision in Counseling. The master’s degree in clinical mental health counseling requires the completion of at least 60 credit hours, including graduate core courses, clinical mental health counseling courses, and specialty courses. The clinical mental health counseling courses include Loss and Grief Counseling, Counseling Diverse Populations, Substance Abuse Counseling, Couples and Family Counseling, Psychopharmacology in Counseling, Theories and Techniques of Counseling, Principles of Group Counseling, Crisis Intervention Counseling, and Consultation in Helping Professions. Students must also complete practicum and internship components. The master’s degree in school counseling requires the completion of at least 60 credit hours. It requires similar courses to the master’s degree in clinical mental health counseling. Students much complete school counseling specialty courses such as Professional School Counseling K-8, Professional School Counseling in Secondary Schools, and practicum and internship components in school counseling. Students who are not currently teachers much complete courses in Special Education Law and Understanding Schools: A Primer for Non-Teachers. Bradley University is a private institution of higher learning residing in Peoria, Illinois. It was established in 1897 as Bradly Polytechnic Institute, with the intention of providing practical education to a range of students. It was originally home to 150 students and 14 faculty members. It expanded to 350 students by 1899. The school continued to grow and expand to meet the needs of the community. In 1920, it became a four-year college and offered bachelor’s degrees. It officially became Bradley University in 1946 when it began offering graduate programs. Today, Bradley University is home to nearly 5,500 undergraduate and graduate students from all around the nation and 33 countries. It has an 85-acre campus in an urban location. It uses the semester-based academic calendar. Bradley University houses five college and schools: Foster College of Business, Slane Collge of Communications and Fine Arts, College of Education and Health Sciences, College of Liberal Arts and Sciences, and Caterpillar College of Engineering and Technology. Through these colleges, the university offers over 185 undergraduate programs and 30 graduate programs. The most popular majors include business, management, marketing, communication, journalism, education, and health professions. Bradley University features a core curriculum that exposes all students to an essential range of knowledge, perspectives, and abilities that prepare them for lifelong learning and success in today’s dynamic world. The core learning outcomes include critical and creative thinking, effective communication, multidisciplinary integration, social awareness, and practical application. The core values are at the heart of the university’s mission. These values include curiosity, freedom of inquiry and expression, pursuit of knowledge, belief in the unity of knowledge, dedication and persistence in learning, strong work ethic, flexibility, civility, integrity, habit of self-reflection, and humility and circumspection toward what is known. The student to faculty ratio is 12 to one, with about 56 percent of courses with less than 20 students. Notable alumni include Ray LaHood, Robert H. Michel, David Horowitz, Rene C. Byer, Tom Wagner, Kary McIlwain, Tami Lane, and Richard Teerlink. The U.S. News and World Report ranks Bradley University number six in its 2019 edition of Regional Universities Midwest publication. The Higher Learning Commission regionally accredits Bradley University to grant bachelor’s and master’s degrees. Bradley University offers various types of financial aid to help students pay for their higher education, including scholarships, grants, loans, and work-study. About 67 percent of full-time undergraduate students are granted some type of need-based financial assistance, and the average award is $18,905. The Federal Work-Study program is available for select students who demonstrate a financial need. Students are able to work part-time either on or off campus. They commonly work eight to ten hours a week, with a maximum of 20 hours a week while courses are in session. They earn at least the current minimum wage, which is about $1,500 per year. The actual pay varies by employer, position, and individual qualifications. The psychology and counseling programs prepare students for a wide range of careers in numerous areas. The psychology and counseling programs from Bradley University are ideal for individuals seeking to make a difference in the lives of individuals, groups, and communities.